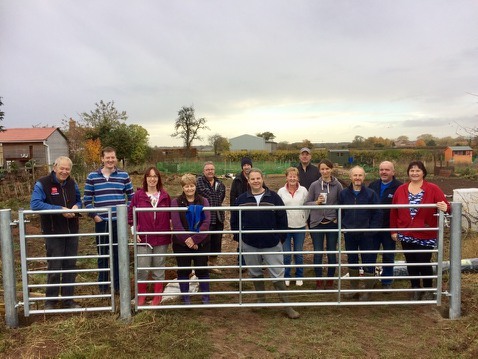 Clarborough & Welham Allotment Association is now up-and-running. 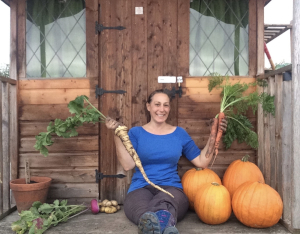 A brief annual update from the Allotment Association (dated 12th January, 2019). Rewinding to last winter - we had a dilemma either to focus on fundraising to reach the target of nearly £15k that was the best quote from the local builders for creating the access, installing a water supply to the site, the gate and a central walk way OR to get creative, start off with the £2k grant we received from our Parish Council, do the work ourselves and fundraise when opportunities arise. The committee voted on the latter, backed by all of the members and we’ve never looked back. There is no pretending that getting the water on site was a smooth process. What would have taken experienced builder a couple of weeks took us most of the summer and even up till now we have been putting right what we didn’t do perfectly the first time round. Advantages of this rocky path are that by now a good few of us are familiar with the location of the stop tap, with checking for leaks, know a lot more about plumbing supplies than previously and we have established contacts with reliable plumbers in the area. Get to know other community members. 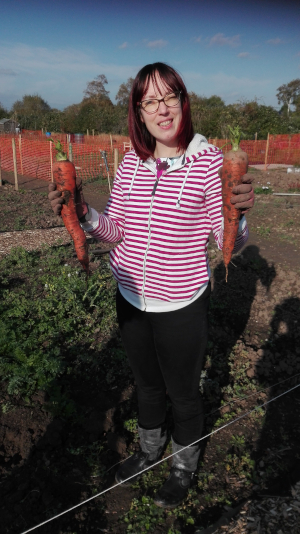 Children having hands on experience in growing food and seeing other people do it. Thinking about it – 20 allotments only occupy ¾ of an old time farmer’s field, which once upon a time would have yielded few tons of grain or spuds per growing season. I do rejoice in fact that now this field gives an opportunity to some 50 people stick their hands in soil on regular basis, reconnect with land based lifestyle and grow their own food. Here’s to a good growing season to anyone attempting to grow some food of their own in Clarborough this year. And to those people who purchased cakes and plants from our stall at the Village Fair last summer. Here’s to a good growing season to anyone attempting to grow some of their own food in Clarborough this year!